The rest of the guys in A.A. (Anthropomorphics Anonymous) are gonna love this. 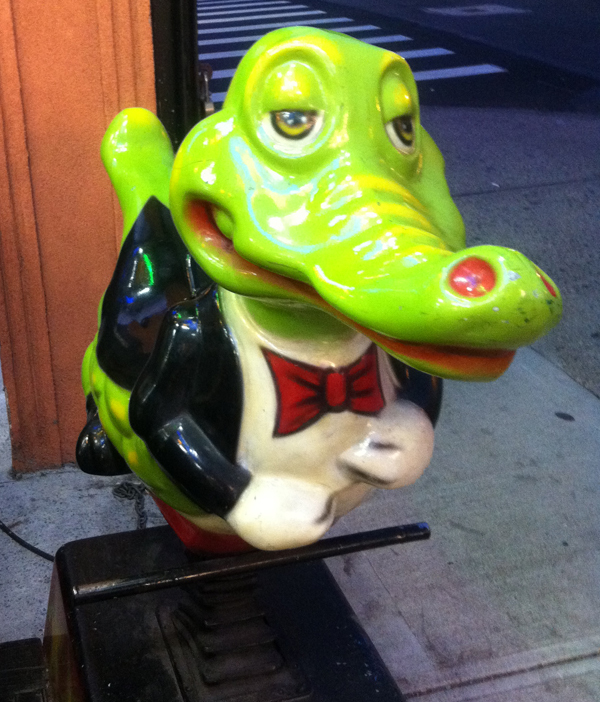 While I'm a big fan of quarter-rides, and am actually quite familiar with this alligator, I've never seen him in a tux. This one was sitting out on the corner of Queens Blvd. in front of a Chinese Take-Out.